Very early Tuesday morning, September 18, at 1:16 a.m., East Precinct officers responded to a property in the 10700 block of S.E. Harold Street, when neighbors contacted 9-1-1 and reported hearing suspicious noises. Officers and members of the Portland Police Bureau Tactical Operations Division's "Air Support Unit" responded to the property. As members of the Air Support Unit flew overhead, they spotted two people run from the location. Officers were directed to where the suspects had gone by Air Support Unit members, and by an area neighbor. The two suspects were taken into custody without incident. During the investigation, officers learned that originally three suspects had been there, had broken into several buildings, and had attempted to steal a 1955 Chevrolet Bel Air classic car, and hundreds of rounds of ammunition. Officers searched for the third suspect but so far have not found him or her. The two suspects taken into custody have been identified as 45-year-old Michael A. Brown and 24-year-old Shelby L. Taylor. Taylor was lodged at the Multnomah County Jail on charges of Burglary in the Second Degree (two counts), Theft in the First Degree, and Attempt Unlawful Use of a Motor Vehicle. 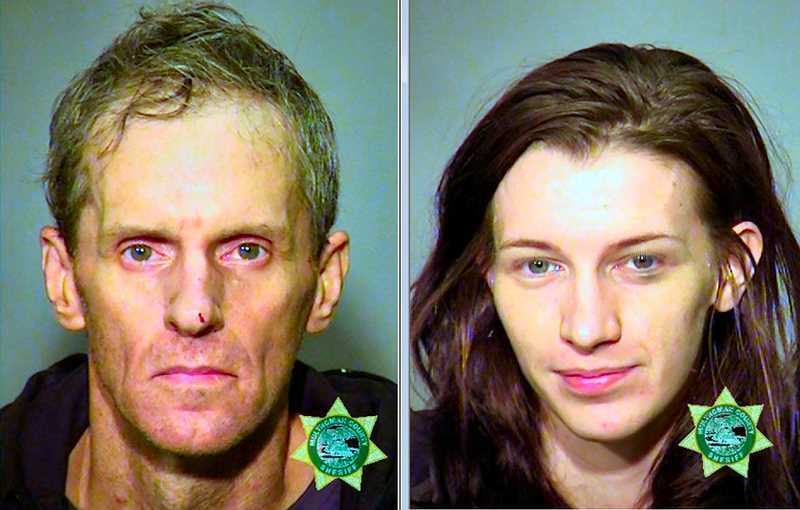 Officers lodged Brown at the Multnomah County Jail but he has since been released under terms of the court. Brown was arrested on charges of Burglary in the Second Degree (two counts), Theft in the First Degree, and Attempt Unlawful Use of a Motor Vehicle. Anyone with information about this crime or the suspects should contact the Portland Police Bureau's "non-emergency line" at 503/823-3333.